20 How Should You Sell It? We take a look at the Top 5 Men’s Items at Jinny Beauty Supply. Male Hair Thinning Getting to the root of it and finding the solution Over 63 million people in the United States suffer from Alopecia, the technical term for abnormal hair loss. Male self-image can be significantly reduced by baldness, even though a correlation has been demonstrated between baldness and high levels of testosterone and thus, virility. Many balding men dream about a magic product will be found to restore the hair of their youth. Turns out, there are options available to them. 스토어 관리자들과 고객들은 그러한 사실을 잘 알지 못합니다. 여기서 그 문제점을 파헤쳐 봅니다. RESPECT THE CROWN Long-lasting scalp relief and luxuriously moisturized hair. 4 Double-Edged Sword Philosophies that Lead to Destructive Company Culture By Magi Graziano Whether we are conscious of it or not, the corporate culture of an organization can make or break how we feel about the organization and our place in it. While most awake and aware leaders say they want a constructive corporate culture, many are uncertain of what it really takes to shape it. Consequently, these executives and managers unintentionally lead their people toward the fatal, destructive side of the culture coin. They do this by buying into five double-edged sword philosophies: Winning above all else, commanding and controlling, opposing others, pursuing perfection, and keeping the peace. These philosophies will undermine your mission to craft a constructive corporate culture. 적응하는 방법을 배워 보시기 바랍니다. 회사 문화를 형성하는 것을 방해합니다. The Gift of Feedback 7 Steps to Move from Confrontation to Conversation By Dr. David Chinsky Everyone depends upon the feedback they receive to appreciate and reinforce their areas of strength and to identify areas for personal and professional growth and development. There is no question that many people miss numerous opportunities to provide more frequent positive feedback that is specific, timely, and genuine. But the bigger challenge for most people is providing constructive feedback that reduces the wall of defensiveness that often accompanies their feedback. Here’s a seven-step constructive feedback process that will get you the results you desire. 피드백이라는 선물 모든 사람들은 피드백을 통해 자신의 장점이 무엇인지 깨닫고 그러한 장점을 더욱 극대화하는 반면 개인적으로 더욱 발전하고 보강해야 할 부분이 무엇인지도 알 수 있게 됩니다. 하지만 많은 사람들이 구체적이고 시기적절하며 진실한 피드백을 전달해 주지 못하는 것이 현실입니다. 또한 대부분의 사람들이 더욱 어려워하는 점은 그러한 건설적인 피드백을 상대방이 거부 반응 없이 받아들이게 하는 것입니다. 이글에 소개해 드리는 건전한 피드백을 전달하기 위한 일곱 단계의 과정을 통해 원하는 결과를 얻으시기 바랍니다. The Jinny Beauty Supply Big Show is well underway, with its first two stops held in Miami and New Jersey to record-breaking crowds in March. products, useful business tips, effective selling tools to boost revenue and customer traffic, and valuable product knowledge by combining insight and intelligence with depth and style. This is the only bilingual publication in the industry offering both Korean and English translations. 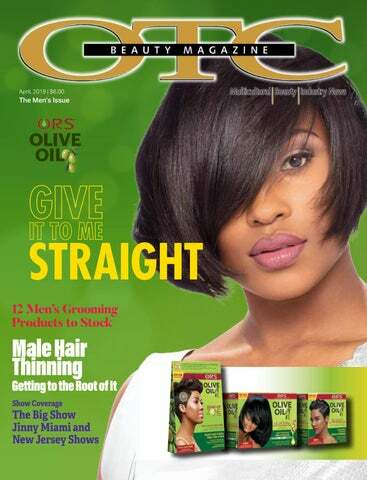 OTC Beauty Magazine is published monthly by Jinny Corp. Postage paid at Auburn, AL and at additional mailing offices. Reproduction in whole or in part of any text, photographs or illustrations without written permission from a staff member is strictly prohibited. THE PERFECT PAIRING TO UNLEASH YOUR CREATIVITY LIGHTER THE HAIR, MORE VISIBLE THE COLOR WILL BE. NO DEVELOPER NEEDED FOR PAINTS™! While that song was referencing a man’s attire, the same applies to a man’s grooming habits, too. Many women are attracted to men with beards, but chances are they’d find a nice smelling facial hair with a soft texture to be even more desirable. Textured hair is trendy in the multicultural community, but having the perfect fade and hairline to accompany that style would preferable to some women. Gone are the days of the un-pampered man. Fellas care more than ever before about their appearance, and there are plenty of new grooming brands out there to prove it. There are so many products to choose from, including facial exfoliants, moisturizers, beard balms and co-washes, anti-thinning serums for hair loss. The list goes on and on. However, the question is, are you prepared to accommodate this demand? Do you have all of the hottest products available in your store to cater to the male customer? We sure hope so. To ensure you do, we gathered a list of 12 popular male grooming products in our Marketplace column on page 12. You can also see which men’s products are flying off the shelves right now at Jinny Beauty Supply on page 54. And you won’t want to miss the details on how to merchandise men’s items in our How Should You Sell It column on page 20. We’re sure that you feel inspired to find new ways to attract and retain your male customer. And by taking care of your male shoppers, I’m sure your female customers will appreciate you for it! 분야에도 해당될 수 있는 내용입니다. 많은 여성들이 남성의 턱수염에 매력을 느끼기는 하지만 그에 더해 머리카락에서 좋은 향기가 나고 머릿결도 부드럽다면 더할 나위 없을 것입니다. 곱슬머리가 다문화 사회에서 인기를 얻고 있기는 하지만 그러한 스타일에 멋진 페이드 헤어라인 스타일을 더한다면 여성에게 더욱 호감을 줄 수 있습니다. 때보다 외모에 많은 관심을 가지고 있으며 그러한 추세에 맞추어 새로운 미용 브랜드들이 등장하고 있습니다. 안면 각질제거 제품이나 보습제, 수염용 밤과 코워시, 머리카락 손상 방지용 안티씬 제품 등이 수없이 많이 등장하고 있고 선택의 폭은 점점 더 다양해지고 있습니다. 하는 것입니다. 여러분의 매장에서는 남성 고객이 좋아하는 모든 상품을 구비하고 계십니까? 그렇게 하시는 데에 도움이 되도록 12면에 있는 마켓플레이스 기사를 통해 12가지 남성용 인기 제품을 확인해 보시기 바랍니다. 또한 54면에 있는 지니 뷰티 서플라이기사를 통해 어느 남성용 제품이 불티나게 판매되고 있는지 살펴보실 수 있습니다. 또한 20면에 실린 판매 전략 기사를 통해 남성용품 판매를 위한 상세한 전략도 놓치지 마세요. 방법을 찾고 계실 겁니다. 그리고 남성 고객을 배려하면 여성 고객들도 고마워할 것입니다! Sometimes your male customers won’t go into a beauty supply store but will entrust their significant others to do it for them. In these instances, it’s good to know about the most popular products in men’s grooming and have them in store for your female customers. It’s also wise to keep a few professional items on hand for your shoppers who just so happen to be barbers, too. Here are 12 of our favorite men’s grooming products that you’ll never go wrong in carrying in your shop. Shavinbe gthe Pbaonewofdaemran’s shaving experiensocen’?s RMazagoric buSmhapsve. The best haircut is one that is exec uted with precisio better finishing to n. There’s no ol for the job lik e the Wahl 5-Sta with a rechargeab r Shaver. It comes le battery that al lows the motor to minutes per charge run for up to 60 . And its hypoallerg enic gold foil will protect skin from ingrown hair, razor bumps and any othe r skin irritation. It doesn’t matter if a man has waves in his short cut ha ir or braids, men who want to preserve their hairstyles need a du-rag. The Dream World Du-Rag is a perfect choice. Not only does it protect a man’s style, but it also come s in a variety of colors. This month’s selling focus is… Men’s Grooming Collection Men have beauty needs, just like women. But men aren’t typically the target customer in beauty supply stores. Women are the primary shopper for beauty products. Understanding how to cater to men, when they are the least likely to come into the store can be challenging. 남성 그루밍 컬렉션 남자들도 여자들처럼 가꿔야 합니다. 하지만 뷰티 서플라이 스토어들은 일반적으로 남성을 주요 고객으로 생각하지 않습니다. 뷰티 제품들은 주로 여성들이 주요 구매자들이죠. 매장에 들어올 가능성이 적은 남성들을 위해 준비한다는 것은 쉬운 일이 아닙니다. 남성용 그루밍 제품을 어떻게 판매해야 할까요? “왜 상황을 바꾸지 않는 거죠? 오늘날 매장에서 남성용 그루밍 제품들의 위상은 엄청나게 높아졌습니다. 선물 세트부터 개별적인 용도에 이르기까지, 여러분의 남성 고객들뿐만 아니라 여성 고객들이 그들의 사랑하는 사람들을 위해 쇼핑을 하기도 합니다. OTC 매장에서 여성은 고객 기반의 평균 95 %를 차지합니다. 그렇다면 스토어 전면의 엔드캡 섹션에 남성들 정용 그루밍 제품들을 진열하는 것은 어떨까요? 이는 여성들에게 그들의 남자들이 필요로 하는 면도크림, 면도기, 포마드, 무스, 그리고 그 밖의 제품들 구입을 다시한번 일깨워 주게 만들어 줍니다. 디스플레이를 앞쪽에 걸어 꼭 기억할 수 있게 해주세요. 요즘 여러분의 매장에서는 고객에게 선보일 제품들이 많이 있습니다. 가장 인기 있고 빠르게 움직이는 품목 중 일부로는 Dax’s Wave and Groom, Murrays Pomade, SoftsheenCarson’s Rub on Scalp, 그리고 Cantu의 수염 오일, 쉐이빙 젤 등, 남성 면도에 필요한 모든 제품들이 있습니다. Clubman은 오래전부터 면도 제품과 애프터 셰이브 제품을 대량으로 생산하고 있습니다. Sunny Isle 은 뛰어난 수염 오일을 가지고있고, Uncle Jimmy 제품들은 언제나 인기가 좋습니다. Magic Powder 와 Bump Patrol 도 많은 제품들이 있습니다. 그리고, Just for Men 의 완전한 염색 라인도 잊지 마세요. 이러한 제품들을 스토어 전면에 진열하면, 남성용 제품의 많은 판매 증가를 보게 될 것입니다. stores are little more than a neighborhood cosmetic shop. 것보다는 조금 더 의미를 지니게 되었습니다. especially for use by trained professionals and so noted on the label. that ingredient in the product. render the product dangerous or unstable to use on human hair. 손상시킬 수 있기 때문에 위험합니다. 전문가용으로 표기된 제품의 경우 FDA에서는 구성 성분을 알파벳 순으로 나열하도록 규정하고 있습니다. 이렇게 규정한 이유는 전문 제품의 제조사의 제품 제조 비법을 어느 정도 보호하기 위해서입니다. 원하는 결과를 좌우하는 주된 요인은 제품만이 아니라 미용사의 기술과 지식이라는 것입니다. 전문 미용사들은 제조사가 후원하는 수업과 세미나, 직업 박람회 등을 통해 필요한 정보를 얻고 교육을 받으며 기술을 배웁니다. 또한 미용 학교에서 지식을 배우고 훈련을 받습니다. 이러한 것은 제품 설명서에 나오는 정보만으로는 얻을 수 없는 것들입니다. Most of us spend the majority of our time at the office or actively working inside or as part of a human work system. Whether we are conscious of it or not, the corporate culture of an organization can make or break how we feel about the organization and our place in it. 대부분의 사람들은 오피스에서, 또는 실내에서 활발히 일을 하거나, 또는 사람들이 만들어 놓은 업무 시스템 속에서 시간을 보냅니다. 우리가 알고 있든 그렇지 않든, 우리 스스로가 회사와 직장에 대해 어떻게 느끼는지는 우리가 만드는 회사의 문화에 따라 크게 좌우됩니다. 대부분의 사람들이 건전한 회사 문화를 만들어야 한다는 점은 자각하지만 실제로 그러한 문화를 형성하는 방법은 잘 알지 못합니다. 결과적으로 그처럼 방법을 잘 알지 못하는 경영인들은 직원들이 완전히 잘못된 고정관념을 키우도록 부추기게 됩니다. 양날의 칼과도 같은 그러한 고정관념에는 5가지가 있는데 바로 다른 모든 사람을 이겨야 한다는 강박관념, 명령과 통제, 다른 사람을 적대시하는 것, 완벽 추구, 평화주의입니다. 이러한 고정관념은 여러분이 건전한 회사 문화를 형성하는 것을 방해합니다. well-meaning, a workplace culture that values winning above all else can be fertile ground for destructive behavior and employment brand erosion. In power-driven organizations, hierarchy reigns and members of the management team are expected to take charge, control subordinates, and yield to the demands of superiors. Historically, this has been the ‘right’ way to lead, and for many decades it actually worked. This model is flawed, however, and those managed by people who admire and enjoy this model atrophy and stagnate. In workplace cultures where this type of behavior is rewarded, the powerful take over and the powerless surrender. Those without power lose motivation and initiative and give less of their discretionary time to make the organization better. Commanding and controlling is a vicious cycle, and the only way out is to call it out and inspire a new way to lead and a new way to follow. In other cases, there are leaders’ of quality-driven organizations who pride themselves with a commitment to excellence. While that intention may have been initially pure and congruent with the leader’s values, all too often the unconscious underlying behavior that is fostered with this value, is perfection. In a culture of perfection, people do not take risks, they do not try new things, and they almost certainly do not put themselves or their reputation on the line to color outside the lines. Perfection, by nature of its definition, leaves very little room for risktaking and creativity in your organization. When curiosity is stifled and looking good is the primary focus, mistakes are hidden, learning is mitigated, and growth is constrained. In an environment where perfection is celebrated and rewarded, conventionality emerges as a safe bet for staying out of the boss’ crosshairs. In a workplace that prioritizes perfectionism, members are expected to conform and follow the rules and make a good impression, and the byproduct of making a good impression and following the rules is that creativity and risk-taking are thwarted and innovation becomes impossible. Resistance to change becomes a blocker to progress and complacency sets in. While certain roles demand perfection or someone could die, perfection as a culture, limits and constraints what is possible for the organization and the people in it. Everyone who is anyone in business understands the need to cooperate with others in the workplace and the need for teamwork and collaboration. However, creating a work culture where everyone has to be liked, and everyone has to get along with little to no emphasis on performance or results; most often leads to over-the-top consensus building, perceived favoritism, a loss of focus and ambition, inconsistent accountability and a very destructive fear of conflict. 이겨야 한다는 가치관은 파멸적인 행동과 기업 브랜드의 하락을 가져올 수 있습니다. 힘의 논리로 운영되는 조직에서는 계급이 존재하고, 회사의 운영 팀은 권한을 가지고 아래 직원들은 통제하는 반면 상사 직원의 통제를 받습니다. 역사 전반에 걸쳐 이러한 방식은 ‘올바른’ 것으로 인식되어 왔고 오랜 세월 동안 성과도 이루어 냈습니다. 하지만 이러한 방식을 추앙하고 즐기는 경영인의 지배를 받는 사람들은 위축되고 활동이 부진하게 됩니다. 이런 방식의 행동이 보상을 받는 직장 문화 내에서는 강자는 지배를 하고 약자는 굴복하게 되는 것입니다. 권력을 지니지 못한 사람은 동기를 부여받지 못하고 적극성을 잃게 되며 조직을 더욱 발전시키기 위해 개인의 재량을 발휘할 기회를 많이 얻지 못합니다. 명령과 통제는 악의 고리와 같습니다. 이러한 고리를 벗어나는 유일한 방법은 이러한 방식을 벗어난 새로운 방법으로 경영을 하는 것입니다. 품질을 중요시하는 회사의 리더들은 본인의 회사가 최상의 품질을 제공한다는 것에 자부심을 느낍니다. 그렇게 하는 것의 동기가 처음에는 순수하고 적절한 것일 수 있지만, 자신도 모르는 사이에 지나치게 훌륭한 품질을 강조하다 보면 완벽주의자가 될 수 있습니다. 완벽주의를 추구하는 문화 내에서 사람들은 위험을 감수하려 하지 않고 새로운 것을 시도하지 않으며 스스로의 평판을 생각하여 눈에 띄는 행동을 하지 않으려고 합니다. 완벽함이라는 기준은 사람들이 회사에서 위험을 감수하거나 창의성을 발휘할 여지를 남기지 않습니다. 호기심을 억누르고 단지 좋아 보이는 것에 초점을 맞추게 되면 실수는 감추게 되고 배우는 면에서 소극적이 되며 성장도 저해됩니다. 완벽성을 요구하고 보상해 주는 분위기 내에서 직원들은 사장의 시야를 벗어나려는 안전주의를 추구하게 됩니다. 완벽주의를 중시하는 직장의 직원들은 규칙을 따르고 좋은 인상을 남기려고 하며 그렇게 함으로 인해 창의성과 위험 감수는 줄어들게 되고 혁신은 불가능하게 됩니다. 변화를 두려워하여 발전이 저해되고 현재 상태에 안주하게 됩니다. 완벽을 추구하는 문화 속에서 특정한 역할을 맡은 사람에게 완벽하지 않으면 끝장이라는 식의 요구를 하면 회사와 직원의 잠재력을 제한하게 됩니다. It‘s imperative to understand that “keeping the peace” workplace cultures can be an insidious thief of organizational and talent optimization. Keeping the peace has the potential to rob the organization and its people experiencing the highest levels of role fulfillment and role satisfaction. When people and the human system they operate in does not actively engage in productive ways of being including; constructive conflict, speaking their truth, giving new ideas, and sharing insights of what is not working; they can never really get to real engagement in the workplace. These five double-edged sword philosophies can sweep the rug out from under your company’s overall mission and set you drastically off track. Shaping constructive culture is about intentionally causing the kind of corporate culture that exemplifies your brand promise. This takes a solid and palatable intention for that culture as a holistic human system, a system of people operating as a living and agile organism. Intentional culture is all about monitoring what you are creating and making necessary shifts along the way to ensure you are accomplishing what you set out to by creating the intentional culture in the first place. 단지 직장 내의 “평화를 유지”하는 문화 역시 조직의 역량을 서서히 침식시킨다는 점을 기억해야 합니다. 단지 평화를 중시하면 조직과 직원들이 최상의 성과를 이루는 것을 방해할 수 있습니다. 사람들이 조직 내에서 건설적인 갈등 관계를 경험하고 진실을 말하고 새로운 아이디어를 제시하고 문제점에 대한 해결책을 공유하는 등의 과정을 거치지 않는다면 진정으로 의미 있는 기여를 할 수 없습니다. 지금까지 말씀드린 다섯 가지 고정관념은 여러분의 회사가 전반적인 목표를 이루는 면에서 방해 요소가 될 뿐 아니라 크게 잘못된 방향으로 유도할 수 있습니다. 올바른 회사 문화를 형성하면 여러분 브랜드의 장래 전망은 밝아질 것입니다. 그렇게 하려면 건전하고 적절한 의도를 가진 문화 내에서 사람들을 인격체로서 존중할 필요가 있습니다. 올바른 문화를 의도적으로 형성하기 위해서는 여러분이 어떤 문화를 만들고 있는지 잘 관찰하고 원하는 방향으로 이끌기 위해 필요한 변화를 할 필요가 있습니다. Magi Graziano, as seen on NBC, is the CEO of KeenAlignment, a speaker, employee recruitment and engagement expert and author of The Wealth of Talent. Through her expansive knowledge and captivating presentations, Magi provides her customers with actionable, practical ideas to maximize their effectiveness and ability to create high-performing teams. With more than 20 years’ experience as a top producer in the Recruitment and Search industry, she empowers and enables leaders to bring transformational thinking to the day-to-day operation. For more information on Magi, please visit www.KeenAlignment.com. 마지 그라지아노는 NBC 방송에 출연하였으며 KeenAlignment의 CEO입니다. 또한 연사이자 직원 채용 및 관리 전문가이자 The Wealth of Talent(재능의 부)의 저자이기도 합니다. 마지는 폭넓은 지식과 훌륭한 프레젠테이션을 통해 고객들에게 높은 실적을 거두는 유능한 팀을 만들기 위한 실용적이고 실행 가능한 전략을 제공합니다. 그녀는 직원 채용 및 인재 발굴 분야의 주요 책임자로 20년 넘게 일해 왔으며 리더들이 혁신적인 생각을 가지고 매일의 업무를 수행할 수 있도록 도움을 베풀고 있습니다. 마지에 대해 더 많은 정보를 알아보시려면, www.KeenAlignment.com을 방문해 보시기 바랍니다. Feedback is a gift that anchors your relationships in honesty. Everyone depends upon the feedback they receive to appreciate and reinforce their areas of strength and to identify areas for personal and professional growth and development. While there is no question that many people miss numerous opportunities to provide more frequent positive feedback that is specific, timely, and genuine, the bigger challenge for most people is providing constructive feedback that reduces the wall of defensiveness that often accompanies their feedback. 피드백은 여러분이 다른 사람들과 정직한 관계를 맺도록 도와줍니다. 모든 사람들은 피드백을 통해 자신의 장점이 무엇인지 깨닫고 그러한 장점을 더욱 극대화하는 반면 개인적으로 더욱 발전하고 보강해야 할 부분이 무엇인지도 알 수 있게 됩니다. 하지만 많은 사람들이 구체적이고 시기적절하며 진실한 피드백을 전달해 주지 못하는 것이 현실입니다. 또한 대부분의 사람들이 더욱 어려워하는 점은 그러한 건설적인 피드백을 상대방이 거부 반응 없이 받아들이게 하는 것입니다. Employees (or colleagues or bosses) must first understand the problem that you’re experiencing with them before they can be expected to improve. In this step, you should describe the actual performance or behavior and contrast it with the expected performance. To begin, simply describe the problem in a sentence or two. Remain as objective as possible and stick to one point—do not talk about multiple performance issues in the same feedback discussion. 아닌 대화 형식의 건설적인 피드백을 전달하는 방법을 소개해 드리고자 합니다. 직원들(혹은 동료나 사장)에게 개선할 점을 알려 주기 전에 먼저 당신이 그 사람과 어떤 문제를 겪고 있는지 이해하게 해야 합니다. 이 단계에서 상대방이 현재 하고 있는 행동과 바람직한 행동을 비교해서 알려 주면 좋습니다. 먼저 문제점을 한두 문장으로 간단하게 설명하십시오. 가능한 한 객관적이 되려고 노력하고 한 가지 요점에 집중하십시오. 한 번의 피드백을 제공할 때 너무 많은 점에 대해 이야기하지 마십시오. a concise, simple-to-understand fashion. There should be no ambiguity as to why you’re having this conversation. Step 2: Explain the Impact During the typical feedback discussion, leaders often jump from the description of the problem directly to the development of an action plan. They want to know immediately what the employee is going to do to resolve the problem. To assure meaningful feedback conversations, employees must know how their behavior is impacting others. In this step, convey the unacceptable impact of the behavior, or the unacceptable performance, on colleagues, the organization and perhaps even the individual himself or herself. 이해하기 쉬운 방식으로 설명하는 것입니다. 이렇게 하면 대화의 목적이 모호하게 되는 일이 없을 것입니다. 2 단계: 문제로 인한 영향을 설명하십시오 일반적인 피드백 대화에서 리더들이 문제를 설명하고 나서 곧바로 개선 방안에 대해 말하는 경우가 많습니다. 해당 직원이 문제를 해결하기 위해 어떻게 할 것인지를 곧바로 알고 싶은 마음에서 그렇게 하는 것입니다. 하지만 좀 더 피드백 대화가 의미 있게 되려면 자신의 행동이 다른 사람들에게 어떤 영향을 주는지를 직원들이 이해하게 해야 합니다. 이 단계에서 잘못된 행동으로 인해 동료들과 조직에 그리고 심지어 그 사람 본인에게 어떤 결과를 끼치게 되는지 설명하십시오. Let’s go back to the previous example of Tom being late to meetings. 미팅에 늦는 톰의 예를 다시 생각해 보시겠습니다. This second step is very important because many times the employee doesn’t even realize his behavior is causing a negative impact. If you don’t describe how his behavior affects others, he might quickly dismiss the problem, saying something like, “Yeah, so what’s your point? A lot of other people are late, too.” So, rather than just talking about the problem of being late, help him understand the impact he’s having by being late. It’s not just the lateness you’re talking about; it’s the diminished productivity, the lack of momentum, the interruption—and some might even say it’s the dishonoring of the punctuality of the other people who arrived on time. Step 3: Identify the Cause Don’t jump in and immediately propose what you believe is causing the problem. Let the employee take the lead here. Your job is to ask one good open-ended question that invites him to think about what might be causing his lateness—or what might be preventing her from listening before she shoots down a teammate’s idea. The goal with this step is to develop a shared understanding of the situation and to identify causes of performance problems. Encourage the employee to discuss the performance from his or her point of view. For example, you could say, “What’s preventing you from getting to our meetings on time?” Your job is to let “silence do the heavy lifting.” Do not give in to the temptation of answering this question for the other person. What you think may be causing the problem is not always the case. 당신이 말해 주어야 하는 점은 단지 늦는다는 것이 아니라 그로 인해 다른 직원들의 생산성과 사기가 저하되고 방해가 되며 심지어 제시간에 도착해 있는 다른 사람들을 무시한다는 인상을 줄 수 있다는 점입니다. 3단계: 원인을 파악하라 여러분 스스로가 문제의 원인을 알고 있다고 성급하게 판단하지 마십시오. 직원들 스스로가 원인을 파악할 수 있게 하시기 바랍니다. 자신이 늦은 이유 혹은 동료의 생각에 귀 기울이지 않는 이유가 무엇인지에 대한 의견을 물어보는 질문을 해 보십시오. 이 단계의 목표는 특정한 상황에 대해 함께 이해하고 문제의 원인을 파악하는 것입니다. 직원들이 자신의 견해를 이야기해 보도록 격려하십시오. 예를 들어 이렇게 말할 수 있습니다. “모임에 제 시간에 오지 못하는 이유가 무엇인가요?” 침묵이 흐르더라도 조급해할 필요가 없습니다. 질문에 대한 대답을 성급하게 대신 해 줄 필요가 없습니다. 여러분이 문제의 원인이라고 생각하는 이유가 항상 맞는 것은 아닐 수 있습니다. TEA TREE OIL Removes build up for enhanced shine and volume. BAMBOO CHARCOAL Help to lift impurities and absorb excess oils. AFRICAN BLACK SOAP Clarifies the scalp. At this step, you’re looking for the employee to tell you what he will commit to doing differently to ensure he’s able to get to meetings on time. This leads to the identification of a solution, a time table for any follow-up actions and an action plan that is specific and measurable. 설명하고 나면 좀 더 효과적인 행동 계획을 짤 수 있습니다. 문제가 발생하자마자 곧바로 행동 계획을 짜게 되면, 좀 더 많은 대화를 통해 행동 계획을 좀 더 올바른 방향으로 수정해 나갈 기회를 잃게 될 것입니다. 이 단계에서 당신은 미팅에 늦는 직원이 앞으로는 문제를 개선하기 위해 어떻게 할 것인지를 말하게 할 수 있습니다. 이렇게 함으로 해결책과 후속 조처를 위한 시간 계획표 및 구체적이고 적절한 행동 계획을 수립할 수 있습니다. Step 5: Confirm Understanding Before the conversation ends, ensure that both you and your employee are on the same page. This is an opportunity for you or the employee to summarize what was discussed, who has agreed to what, and when you expect these changes to occur. If there is any disconnect, you can identify it and resolve it during this conversation. 5단계: 이해했는지 확인하라 대화를 마치기 전에 여러분과 직원이 동일한 내용을 이해하고 있는지 확인하시기 바랍니다. 이렇게 함으로 여러분과 직원은 논의한 내용과 함께 동의한 내용, 그리고 어느 시점에 변화가 필요한지 요점을 분명히 이해할 수 있습니다. 서로 다르게 이해하는 부분이 있다면 대화를 통해 그 점에 대해 파악하고 문제를 해결할 수 있습니다. Step 6: Document the Conversation Take a few minutes to document the conversation, even if this is the first time you’ve had to talk with an employee about an issue—and certainly if it’s the second time you’re having the same conversation. When you document the conversation you’ve had, you’ll have the information available should this develop into a more serious performance management issue. 6단계: 대화의 내용을 기록하라 직원과 해당 문제에 대해 처음으로 이야기를 나누었든 아니면 두 번째로 그러하였든 잠시만 시간을 내어 대화 내용을 기록하십시오. 이렇게 하여 얻은 정보는 앞으로 경영과 관련된 더욱 중요한 문제를 다루는 데에 도움이 될 것입니다. 가능성이 높습니다. 따라서 그러한 약속을 시행하는지 확인하는 것이 매우 중요합니다. 이렇게 하면 해당 직원이 문제를 실제로 개선했는지 혹은 행동을 변화시켰는지 알아낼 수 있습니다. 시간을 내서 이러한 확인 작업을 하지 않는다면 앞서 기울인 노력이 헛수고가 될 수도 있습니다. 효과적으로 건설적인 피드백을 제공할 수 있을 것입니다. 대화를 시작하기 위해 먼저 일 분 이내의 시간에 문제를 명확하게 설명할 수 있습니다. 그리고 문제가 미치는 영향을 설명하고 좋은 질문을 통해 직원들의 생각을 말해보게 하십시오. 이렇게 하면 대화를 시작할 때부터 주도권을 쥐고 누군가가 방해를 하거나 요점을 흐리게 하려고 해도 흔들리지 않을 것입니다. Dr. David Chinsky is the Founder of the Institute for Leadership Fitness, a celebrated speaker, and author of The Fit Leader’s Companion: A Down-toEarth Guide for Sustainable Leadership Success. After spending nearly 20 years in executive leadership positions at the Ford Motor Company, Nestle and Thomson Reuters, he now focuses on preparing leaders to achieve their highest level of professional effectiveness and leadership fitness. For more information on Dr. David Chinsky, please visit www.FitLeadersAcademy.com. 데이빗 친스키 박사는 건전한 리더쉽 협회(Institute for Leadership Fitness)의 설립자이자 유명 연사이자 The Fit Leader’s Companion: A Down-to-Earth Guide for Sustainable Leadership Success(훌륭한 리더들이 리더쉽을 성공적으로 발휘하기 위한 실용 가이드)의 저자입니다. 그는 포드 자동자 회사와 네슬레, 톰슨 로이터 등 유명 회사에서 거의 20년 동안 경영인으로 일한 경험을 바탕으로 리더들이 직원들의 효율성을 극대화하고 건전한 리더쉽을 발휘할 수 있도록 도움을 베풀고 있습니다. 데이빗 친스키 박사에 대해 더 알아보시려면 www. FitLeadersAcademy.com을 방문해 보세요. Change Your Mindset or Suffer the Consequences Steps to Thrive in Our Unstable World 사고방식을 바꾸지 않으면 결과를 감수하게 됩니다 불안한 세상에서 성공하는 5가지 단계 We live in a world of unpredictable and uncontrollable change. How can we survive and even thrive when our environment turns against us? Bill Evans was the CEO of Shifting Rocks Corporation, the dominant regional player in providing rocks for road construction. After 30 great years, they suddenly dropped behind two competitors. Due to a combination of unforeseen changes, sales plunged from $50mm to $25 million. They went from $5 million profit to a loss of $2 million in only two years. Bill hired a firm that helps companies thrive in a changing environment. After one year of working together, Shifting Rocks reached break-even. In two years, they climbed to a $6 million profit. Their engagement levels are now higher than the “good years,” and Bill enjoys his job more than ever. Become a Flexible, Adaptive, Learning Organization The turning point was when Bill’s mindset changed with the realization that what led to success in the past often doesn’t work today. The primary characteristics needed to thrive now are: 1. Flexibility - The willingness to change or compromise. Adaptability - The ability to utilize flexibility to meet the demands of new conditions. Learnability - The ability to quickly learn new knowledge and skills that are required to meet the demands of new conditions. 우리가 살고 있는 세상은 끊임없이 변화하며 예측과 통제가 불가능합니다. 이러한 상황 속에서 살아남고 성공하려면 어떤 전략이 필요합니까? 빌 에반스는 해당 지역에서 도로 건설을 위한 돌을 공급하는 유명 업체인 시프팅 락스(Shifting Rocks) 주식회사의 CEO였습니다. 그런데 30년 후에, 두 개의 경쟁업체가 이 회사를 앞지르게 되었습니다. 예측하지 못한 변화 때문에 판매량이 5000만 달러에서 2500만 달러로 곤두박칠쳤습니다. 불과 2년 사이에 순수익도 500만 달러에서 200 만 달러 적자가 되었습니다. 빌은 이처럼 변화하는 상황에서 성공을 거둘 수 있도록 도와줄 수 있는 회사의 도움을 받기로 했습니다. 이렇게 한 후 불과 1년 사이에 시프팅락스 회사의 순이익은 손익분기점에 도달했습니다. 그로부터 2년 후에는 순수익이 600만 달러에 달했습니다. 이전에 사업이 잘 될 때보다도 오히려 상황이 더 나아진 것입니다. 빌은 이제 이전 어느 때보다도 즐겁게 일하고 있습니다. 융통성, 적응력, 학습력을 갖춘 회사가 되라 빌의 사고 방식이 바뀌는 전환점이 되었던 것은 과거에는 성공을 거두었던 방법이 현재에는 통하지 않을 수 있다는 것을 깨달은 것입니다. 우리가 지금 성공을 거두기 위해서는 다음과 같은 능력이 필요합니다: 1. 융통성 – 기꺼이 변화하고 절충하는 태도. 2. 적응력 – 새로운 상황에 따라 융통성을 발휘하여 적절히 대응하는 능력. 3. 학습력 – 새로운 상황에 필요한 새로운 지식과 기술을 빠르게 배우는 능력. 여러분의 조직은 이러한 융통성, 적응력, 학습력을 갖춘 조직(FALO) 이 되어야 합니다. FALO는 불안정한 환경에서도 경쟁력을 갖춘 조직입니다. 중요한 점은 여러분이 통제가 불가능한 상황에 끊임없이 대응하는 것에 초점을 맞추는 것이 아니라 통제할 수 있는 영역에 초점을 맞추는 것입니다. 상황이 바뀌는 것이 아니라 여러분이 변화하는 것입니다! 어떻게 FALO로 발전할 수 있습니까? problems at their root since people select, develop, operate and manage your processes and technologies. The perfect processes and technologies with the wrong people or with people who are not using them properly will never work. A process and technology focus is a convenient distraction away from the more challenging arena of human beings. However, starting with processes and technologies is treating the symptoms, not the cause. Your solutions will always be suboptimal with this approach. Step 2: Create a personal development mindset as an organizational strategy The key to your professional growth is your personal growth and development. We take ourselves with us everywhere we go, and your selfawareness, skills and character traits are your only tools. It’s critical to realize that these elements of personal growth are developed not inborn. Certainly, you have inborn gifts. However, none are very useful until they’ve been developed over time. History’s most successful CEOs such as Jack Welch of GE, Lou Gerstner of IBM and Ray Dalio of Bridgewater shared a common philosophy. They recognized that as people work on their personal development, they contribute far more productivity, collaboration, and positive energy/ engagement as benefits. Each of these benefits enhances the others to create a multiplier effect throughout the organization. As people develop, they also adapt much better to ongoing life challenges. The organization’s knowledge and skills (learning) increase while becoming more flexible and adaptive. 할 수 있습니다. 절차나 기술을 선택하고 개발하고 사용하고 관리하는 일은 사람들이 하기 때문입니다. 절차나 기술이 아무리 완벽하다 해도 그것을 사용하는 사람들이 잘못되었거나 적절한 방법으로 사용하지 않는다면 아무 소용이 없을 것입니다. 인간은 복잡한 존재이기 때문에 단지 절차나 기술에 초점을 맞추는 것이 좀 더 간단한 방법인 것으로 보일 수 있습니다. 하지만 절차와 기술 측면에서 접근하면 원인이 아닌 증상을 해결하는 것에 그칠 것입니다. 이러한 방식은 결코 바람직하지 않습니다. 단계 2: 조직의 전략을 염두에 두고 개개인을 발전시키십시오 직업 측면에서 더욱 전문적이 되려면 개개인이 성장하고 발전하는 것이 필수적입니다. 우리가 어떤 상황을 겪든 우리가 사용할 수 있는 도구는 우리 스스로에 대한 자각과 기술과 성향 뿐입니다. 개인의 성장을 위해 필요한 이러한 요소들이 선천적으로 정해지는 것이 아니라는 것을 반드시 기억하십시오. 물론 선천적인 재능도 있습니다. 하지만 그러한 재능도 충분한 시간을 들여 발전시키지 않는다면 소용이 없습니다. GE사의 존 웰치, IBM의 루 거스너, 브리지워터의 레디 달리오와 같은 역사상 가장 성공을 거둔 CEO들은 비슷한 철학을 가지고 있습니다. 그들은 사람들이 개인적인 발전을 위해 노력할 때 생산성이 향상되고, 더욱 협동적이 되며, 보다 활력있게 적극적으로 참여하며 일한다는 것을 인지하고 있습니다. 각 개인이 발전하게 되면 다른 사람들에게도 영향을 미쳐서 조직 전체에 파급 효과를 주게 됩니다. 사람들이 그처럼 발전을 하면 삶에서 겪는 여러 문제들에도 더욱 잘 적응하게 됩니다. 융통성과 적응력을 더욱 갖춘 조직일수록 지식과 기술(학습력)도 더욱 향상됩니다. 단계 3: 개인이 지속적으로 발전할 수 있는 문화를 형성하라 개인의 발전을 위한 전략을 개발하기 위해서는 그에 맞는 회사 문화도 발전시켜야 합니다. 반면 그러한 전략에 맞는 문화를 발전시키지 않은 조직은 전략이 성공을 거두지 못하는 경우가 흔합니다. 피터 드러커는 “문화는 전략보다 우선한다(Culture eats strategy for lunch)”고 말했습니다. Mission that matters - A clear mission and vision statement to motivate and unify employees. Transparency of Leaders - A crucial element to build safety, trust and collaboration that requires openness and vulnerability. Giving everyone a voice – A perspective that values everyone’s opinion and point of view. 1. 목표를 명확하게 정한다 – 분명한 목표와 비전을 알려 주어 직원들에게 동기를 부여하고 서로를 연합시킨다. 2. 리더들의 투명성 – 솔직함과 조심성으로 인해 얻을 수 있는 안전성, 신뢰감 및 협동심과 같은 중요한 요소들을 기르는 데 필요하다. 3. 모두에게 말할 기회를 줘라 – 모든 사람의 의견과 관점을 소중히 여겨라. 이러한 원칙들을 다른 회사들도 적용해 볼 수 있지 않겠습니까? 사실, 구글처럼 규모가 큰 회사는 워낙 다양한 사람들이 모여 있기 때문에 이런 원칙을 적용하기가 어려운데도 그렇게 하고 있는 것입니다. 약점이란 여러분이 효과적으로 일하는 것을 방해하는 습관적인 행동을 가리키는 것으로서 여러분이 원하는 것을 이루지 못하게 합니다. 인간으로서 약점을 가지는 것은 어쩔 수 없는 일입니다. 중요한 점은 그러한 약점을 숨기거나 가리려고 하는 것이 아니라 찾아내고 인정하는 것입니다. 당신의 약점은 다른 사람들에게 드러나기 마련이므로 그러한 약점을 억지로 부정하거나 숨기려 한다면 자신의 발전과 다른 사람과의 관계에 좋지 않은 영향을 줄 뿐입니다. 리더가 스스로의 약점에 대해 솔직한 태도를 나타낸다면 신뢰와 존경을 얻게 되며 다른 사람들도 약점이 드러난다 하더라도 지나치게 염려하지 않을 수 있게 됩니다. 연구 결과와 사례들을 살펴보면 사람들이 불안감을 느끼지 않는 것이 중요함을 알 수 있습니다. 사람들은 자신의 약점이 드러난다 하더라도 조롱거리나 처벌의 대상이 되지 않는다는 확신이 들기 전에는 솔직하게 약점을 드러내려 하지 않을 것입니다. 리더들이 마음(감정)과 정신(생각)을 다해 헌신적인 태도를 나타내는 것이 중요합니다. 이전의 습관을 고치기 위해 많은 시간을 들이는 것보다는 새로운 습관을 기르는 것이 좋습니다. 리더들이 헌신적인 태도를 나타내면 직원들도 개인적으로나 직업적으로 더욱 발전하기 위해 헌신적으로 노력하는 문화가 형성될 수 있습니다. 자신도 모르게 이전의 습관으로 되돌아갈 수 있기 때문에 다른 사람으로부터 건설적인 피드백을 받고 서로 격려해 주는 문화를 형성하는 것이 중요합니다. 지속적으로 노력하도록 서로 도와주는 문화 없이 발전을 이루는 것은 거의 불가능합니다. FALO가 되는 과정은 복잡하지 않습니다. 먼저 고정관념을 바꾸어 외부의 환경에 초점을 맞추는 것이 아니라 성공과 힘의 원천인 사람을 지속적으로 발전시키는 것이 필요합니다. 외부 상황을 통제하려고 힘쓰시겠습니까 아니면 상황에 맞추어 적응하고 오히려 더욱 발전하시겠습니까? find the tools you need to bring it all to life. mask, or even setting a daily beauty routine. Selfcare is not about masculinity or femininity. It’s for everyone, and it’s essential. It’s not even about beauty. It’s about taking ownership of yourself. Use grooming as a tool to embrace yourself daily and empower yourself to be the best version of ‘you,’ you know you can be. on your dryer works wonders for straightening prep. Whatever your styling routine, there’s a tool for you. Gold ‘N Hot aims to support stylists and hair enthusiasts with professional products for every step of their process. We provide a wide variety of quality styling tools to help you achieve the most gorgeous results and ever-changing trends. Be sure to check out all the first-rate styling tools and hair care products we have to help you behind the chair and add to your collection today. Follow Gold ‘N Hot on Facebook and Instagram @goldnhotelite. Jet Set Girl International, LLC. for professional cosmetologists, barbers and beauty salon owners and operators via the publication’s relationships with the National Beauty Culturists League (NBCL). Joseph Swafford, Cardiologist Joseph Swafford, MD is a graduate of the Howard University College of Medicine. The majority of his professional life was as a cardiologist initially in private practice, then joining the faculty at the University of Texas MD Anderson Cancer Center where he later became a Professor of Joseph Swafford Medicine. Along with clinical cardiology, Cardiologist he had training in Medical Quality Improvement and Faculty Leadership and had the opportunity to participate and lead many committees and programs including those involved with promotions for clinical faculty, teaching quality improvement programs to faculty and clinical privileges for physicians in the institution. During his career, he volunteered with the American Heart Association and was President of the Houston Division in 2002 to 2003. Towards the end of his career, he held the Deputy Division Head of Internal Medicine position. These committees and appointments allowed him to mentor both junior and senior faculty. His wife and fellow physician, Melba Swafford, were called to mentor high school and college students about career development in the medical field. When he retired from MD Anderson, he wanted to continue his mentoring efforts. The First Tee allowed him to mentor youth from 7-18 years of age. He spent the last 10 years volunteering with this organization and trained to become a certified First Tee Coach in 2013. He was designated as a Lifetime Coach in 2018. He was recently honored at the Inaugural Core Values Luncheon of the First Tee of Greater Houston. Joseph Swafford has have been married 40 years and has two wonderful and successful daughters, Erika Green and Jessica Marcella as well as two delightful grandchildren, Juliana Marcella and William Marcella. Broussard has participated in the multicultural beauty world and was an honoree role model in Beyond Beauty. She has an established relationship with the Bronner Bros company and has been featured in their “Upscale” magazine. She is also an author and has written over 14 bestselling books, selling over 250,000 copies worldwide. She has also spoken all over the world, becoming a media personality for CNN and the “Wall Street Journal.” She has built an online empire. Now her life’s work and passion are to empower entrepreneurs to have a lucrative business that impacts not only their lives but many others worldwide. Her mission is to transform the lives of entrepreneurs worldwide to have true financial and time freedom. Broussard started her business career as a stockbroker with a major Wall Street firm and later left to start her own money management company where she managed $75 million in investment assets. She has appeared as a business and financial expert on CNN, CNBC, CBS Marketwatch and other major TV stations and has been featured in many national publications. She has conducted and spoken at international conferences, workshops and seminars on business, investments, and entrepreneurship. Broussard is also the former host of the “The Cheryl Broussard Show’ radio show on KBLX, San Francisco, California which featured leading beauty care business owners, and their brands. Jet Set Girl International, LLC. professional nail community. Cheryl Broussard is the principle of Jet Set Girl International, LLC and the former owner of Jet Set Girl Hair, a distributor of luxury synthetic hair and hair products for professional women. Broussard is a consummate entrepreneur with over two decades of experience. Cheryl Broussard She believes that women must approach Jet Set Girl International, LLC. life from a holistic standpoint, and beauty plays a significant role in wealthbuilding and inner self-confidence. This talented nail stylist is from the mean streets of New Jersey. Since the age of 13, Rickette has been working and taking care of herself. She was a chef before she was a nail artist, so she knows what presentation is all about. Rickette is the undisputed master at creating high-end nail art not seen before by anyone. One of her proudest moments was in styling Fergie’s (Black Eyed Peas) nails for one of their most famous videos “Boom, Boom, Boom” in which she created long, sharp looking nails with metallic silver and black stripes which Fergie used in the video and on tour. She has also designed a nail look for Paris Fashion Week. When you come to Rickette to get your nails done, you get an experience. Whatever you can imagine, and even some things you never thought could have been possible, she can create. Rickette brings all the bells and whistles, including the use of Intuitive Reflexology, which is an Egyptian method of massage, on her clients. Rickette has been creating couture nails since 2003, and it was around 2007 when she came across Kim Kimble on set while styling Mary J. Blige’s nails. Kim was impressed with Rickette’s hustling attitude and took Rickette under her wing and taught her a couple of things about onset etiquette. Since then, Rickette has continued to keep herself busy. Along with establishing herself as an international educator and opening the Naja Nail Guru Nail Academy, a learning center dedicated to helping beauty professionals hone their techniques and develop necessary business savvy and marketing skills, she has continued to build her impressive roster of celebrity clients. These include Mariah Carey, LL Cool J, Katy Perry, and Nicki Minaj, among others. Her work has been featured in numerous editorial shoots, music videos, and magazine covers. As recently as 2013, US Weekly named Rickette’s work on client Miranda Lambert the Best Mani of The Grammys. its natural growth and replacement cycle. are approved by the FDA are Minoxidil and Finasteride. prevent hair from falling out, strengthen and make the hair you still have thicker. In some cases, if hair follicles are still productive, this product can bring back a fluffy, downy hair. Premature balding can be lessened by the oils but don’t be impatient. The treatment must be continuous and don’t expect to see results for about three to four months. With these products, your patience will be rewarded. At Barber Shop Aid, we’re often asked, “Will these products grow my hair?” I am always honest with my clients. I let them know that hereditary factors can play a role in balding problems. However, reducing the aging factor in the whole body by keeping the cell functions healthy and vigorously using the treatments can delay that hereditary trait. I also suggest they see their doctor to make sure they are not suffering from any deficiency and to have a hair follicle examination to ensure they are still alive. Treatments only work if the hair follicles are still viable. convenient than Minoxidil, its possible side effects include weight gain and loss of sexual function. Aromatherapists and trichologists regularly use any number of essential oils that have the same function. Not only that, but essential oils, unlike chemical drugs, are harmless to the body if used correctly. So while the drug developers continue with their testing, aromatherapists and trichologists will continue stimulating hair growth in atrophied follicles. Barber Shop Aid® Brand Products has developed an incredible, hair growth solution using aromatherapy which combines the right synergistic blend of essential oils for premature balding. These essential oils are blended in a base of all-natural carrier oils such as castor oil, jojoba oil, grape seed oil, olive oil and other natural oils along with vitamin E, menthol and infused with biotin (vitamin B). Men’s Grooming Products There are just some products that your male customers can’t live without in their lives. Razors, clippers, hair brushes or combs, the list goes on and on. To make sure you’re carrying the essentials your shoppers need, check out the Top 5 selling men’s grooming products at Jinny Beauty Supply. oil like the Cantu Men’s Beard Oil. It’s specially formulated for me with curly, coarse or wavy hair. It has a unique blend of hemp seed oil, caffeine and tea tree oil to nourish hair Works well with sealing in moisture. Every man isn’t ready to embrace his gray hair. Barber’s Choice Beard and Mustache Color. six weeks and can cover resistant gray facial hair by 100%. Best of all, there’s no ammonia odor or harsh smell. hold and enhances the hair’s natural wave pattern. The non-greasy formula is applied smoothly and can be rinsed out with warm water. comfortably in hand, making this a barbers’ favorite. AVAILABLE NOW Over 80% of your customers wear extensions, wigs, weaves, braids, fauxlocs, etc. Jinny Beauty Supply of Miami and New Jersey held The Big Show to celebrate the biggest show in Jinny history on March 3 and 10 respectively. The companyâ&#x20AC;&#x2122;s VIP customers were invited to partake in special promotions and unbeatable deals. Every show exceeds the one from the year before and this yearâ&#x20AC;&#x2122;s events did not disappoint. Attendees walked away amazed, looking forward to the next Jinny Beauty Supply tradeshow. Shows for the Chicago and Atlanta will take place later in March. Jinny Miami staff register visitors for the Big Show. Justin Lee and Damon Cho of JBS Hair, with Charles Seo (center). Shane Choi and John Rim of R&R Corp. work with a customer. Morrishane Collins talks about the Strength of Nature products with a customer and Derek Lee of First Choice Sales and Marketing Group. The Respected Roots team were happy to attend their first Jinny tradeshow. An attendee visits the Revlon booth. Andrey Court of Ecoco Inc. laughs with customers. Dream Team Michelle Lee chats with an attendee. TJ Dickinson of Conair meets with a customer. Grace Seong smiles for the camera at the JBS Hair booth. Visitors flocked to the JBS Hair space. Miami Warehouse manager Sebastian Lopez. Miami Warehouse General Manager Saul Morales is happy to be at the Jinny Big Show. Andrey Court shows off Ecocoâ&#x20AC;&#x2122;s latest offerings. Juliet Moore of Henkel tells attendees about the latest Henkel products. Caio Andrade and Lulu Corral were eager to meet with attendees at the Wella booth. Visitors peruse vendorâ&#x20AC;&#x2122;s booths at the Big Show. Dream Team member Petra Rampersad assists a Big Show visitor. Todd Smith shares Oster product details with attendees. Dream team member Winnie Kim with a customer. Grace Seong showcases the variety of JBS Hair products with customers. Austin Russo of StyleCraft talks with attendees. Hair Illusion booth. Attendees visited the American International Industries booth. Deborah Haynes Brannon shares information on a Murrayâ&#x20AC;&#x2122;s Worldwide product. J. Strickland booth. Attendees were all smiles at the event. Jinny Miami sales rep Any Son met with a customer at the Big Show. Visitors peruse the product wares at the vendor booths. A customer listens intently to a Universal Beauty representative. Jinny Miami Dream Team members Kevin Back, Manouchka Cesarin and Petra Rampersad. Customers meet with a vendor rep to purchase products. Customers chat with vendors about the bell ringer deals at the Big Show. Customers stop by each booth to see the latest products. An Ampro rep completed a customerâ&#x20AC;&#x2122;s sales order at the show. A customer visits the Strength of Nature booth. Sales orders were placed at every booth. Jinny Miami sales team members Kevin Back and Chris Kim were seen chatting with show attendees. Customers flocked to the Wella booth. Belal Ahmed of As I Am helped attendees place an order. The Just For Locs booth. Visitors flocked to advertiser booths to buy products. Dream Team member Chris Kim chats with a customer. Dream Team Michelle Lee chats with an attendee. Dream team member Winnie Kim with a customer. Jinny Sales team member Kevin Back talks with a customer about the revolutionary Spunge product. visitors from Diamon Girl Beauty and Classy Girl Beauty were in attendance. Jinny Vice President Charles Seo visited vendor booths at the Big Show. Damon Cho helped customers place their orders. Jim Travagline of Sashapure helps a customer. Johnny Edwards of Summit Lab shows a customer one of his newest products. Afua Odame of AFAM Concept chatted with visitors. Elegant Beauty Corp. owner George F. Mobassaleh, Fuad Ahmad and purchaser Tony. Jaredd Smith and Dawn Green chat with Jinny Corp. President Eddie Jhin. Brian Mullenbach of House of Cheatham works with a customer. Shaherra Rolen of M&M Products was all smiles while working with a customer. Jinny Corp. President Eddie Jhin was seen with Elegant Beauty Corp. owner George F. Mobassaleh and purchaser Bashir. Eddie Jhin, George F. Mobassaleh and purchasers Bashir and Tony. Brian Mullenbach of House of Cheatham assists a customer. Damon Cho shares details about JBS Hair products with a visitor. Jinny Miami rep Chris Kim with two Big Show attendees. Jinnyâ&#x20AC;&#x2122;s Tim Gibson, Garrett Wright, Art Emm and Steven Fischman. The Jinny New Jersey Warehouse team worked hard to prepare for the Big Show! Robert E. Lee of Ampro awaits the throng of customers waiting to enter the Big Show. Roc Cannon of Taliah Waajid was all smiles at the Big Show. Thoma Crumpton at the Wahl booth. Johnny Edwards of Summit Labs. RICH by Rick Ross booth. Ecoco Inc. booth. Nappy Styles booth. Johnny Jung, Jae Kim, Lois Kim and Julie Ahn were happpy to be at the Big Show. Ken Klibaner at the Andis Company booth. The Mane Choice Hair Solution booth. Gilbert Landestoy of Vogue International. The Hain Celestial Group booth. Juliet Moore of Henkel was happy to be at the Big Show! Vendors were very busy keeping up with the customersâ&#x20AC;&#x2122; orders. Attendees took advantage of all of the bell ringer deals. A customer visits the Bronner Bros. booth. Winnie Kim smiled for the camera. Jinny employees wait eagerly to greet attendees. The Dream World Products team were ready to meet new customers. Ryan Kim And Johnny Jung were dressed for success at the Big Show. Brandon OK posed with two Ecoco Inc. models. Jinny New Jersey team celebrated the end of a successful trade show. Jinny Corp. President Eddie Jhin blew out the candles on the celebratory cake for another trade show well done! CLIPPER TIPS Sponsored by Andis Co.
Do you know any clipper-cutting hairstylists with small hands? Have you ever had a customer say that other tools are just too heavy? If you answered yes to either question, the Andis® CTX Corded Clipper/Trimmer should be your “go-to” response for customer recommendations. The new CTX Clipper/Trimmer weighs in at an astounding 3 ounces – 20% lighter than similar tools on the market. But don’t let its light weight fool you. The CTX is a small tool that packs a big punch thanks to a powerful rotary motor that drives the blade at 8,000 blade strokes per minute. The CTX also has a newly designed, precision cutting blade that allows hair to feed through the blades faster. These two features combine to deliver more precision and power to cut through thick or wet hair. Consider this: most stylists use wet products to provide hair care to their clients, and may need to trim their client’s hair after wet products are applied. In this case, the trimmer chosen must be powerful enough to cut through hair coated with product. Due to their power and speed, rotary motor tools are ideal for these types of jobs. The best new tool that satisfies this need is the Andis CTX, especially when performing the clipper-over-comb technique. To sum it all up, the CTX is called a clipper because it has a highspeed, powerful rotary motor that works on all hair types. It can also be considered a trimmer as a result of its close-trimming blade. The ability to use one tool for both clipping and trimming helps clipper cutters save time and space at their work stations. And we all know time is money for all stylists and barbers! As a result of all its innovative features – weight, size, blade, motor, – and the ability to cut through thick, wet hair with precision and ease, the CTX Clipper/Trimmer is sure to become one the most valued, versatile tools among professionals and at-home clipper cutters. For more information about the new Andis CTX Clipper/Trimmer visit andis.com. JBS Beauty Club has all your accessory needs with necklaces, earrings, scarves, sunglasses, etc. Stock your store with only the best from JBS. As part of the largest beauty supply distributor, you can always buy items by the piece and at great prices. For more information, call 800-361-0786 or visit them at 4300 Northeast Expressway, Doraville, GA.
By 2024, the global male grooming market is estimated to be worth about $29.14 billion. That’s nearly a 30% projected growth, on top of a 46% growth from the last 10 years. However, the male grooming market is beyond razors and shaving items. Male grooming is more than beard deep. Men’s interest in handling their facial hair is well beyond shaving and sculpting. They want to enhance their skin, improve their beard texture and sharpen their overall style. While nearly half of the category covers shaving related products, the remainder for the business comes from skin care, facial hair, and body hair. New products address the treatment and maintenance of beards. Men are interested in products that specifically address their moisturizing, conditioning, and exfoliating their skin. They want to condition and treat their entire body. For their beards alone, there are products that co-wash-cleansing without shampoo, moisturize with oils and balms. They’ve learned from women’s products which techniques are healthy and protective. They are now expecting to have technological innovation that is specific to manly stubble and skin types. Men are shopping for male-specific products. They are buying products for themselves and expecting that the products are uniquely designed for their pampering. No longer do they have to make do with women’s products or brands. They want products designed to accommodate the male grip. They want to avoid feminine scents. They are shopping locally and online for the latest in male grooming. The men’s grooming market is experiencing growth as a result of increased awareness in the products that are needed just for men. They learned to moisturize, condition, use cosmetics, from women’s productions. But they no longer want to resort to women’s products to get the masculine job done. Corded or USB-Charged Cordless, Longest Continuous Run-Time, Ultra Lightweight and Slim Precision Design Gamma+ Italia, the international leader in progressive new technologies for hair, has introduced the unique Absolute Zero Finishing Foil Shaver, an innovative, dual-function foil shaver with a convenient retractable trimmer. thin, independently floating foils and cutters. comes with a 2-year limited warranty and includes 2 free replacement cutters. smoother and more even shave irritation. in an eco-clean and conscious environment. All Gamma+ Italia a solar-paneled facility which reduces carbon emissions by over 1000 kilos a day (saving the equivalent of a forest every year). buildup. This detox and softening product line will thoroughly cleanse the hair while enhancing curl definition and curl clumping; ultimately, leaving your hair living its best life! oil and contain high-quality ingredients, resulting in healthylooking and clean hair for better management and styling. •	Creme of Nature Clay & Charcoal Pre-Shampoo Detoxifying Clay Mask 11.5 Oz. (SRP $6.48) – Detoxifies by removing buildup and infuses deep moisture. Shampoo 12 Oz. (SRP $5.48) – Gently cleanses without stripping hair of its natural moisture and controls frizz. •	Creme of Nature Clay & Charcoal Soften & Moisture Replenish Conditioner 12 Oz. (SRP $5.48) – Enhances natural shine and softness. information about Creme of Nature, please visit cremeofnature. CremeNatureOfficial), Snapchat (cremeofnature) and Twitter (@ cremeofnature). of presentations, seminars and workshops to give visitors an inpersonal care industry over the next 12 months. issues affecting each and every manufacturer and supplier. Earlya workshop are advised to secure their places now. covering the most recent theories of free radical research. Mavon, Senior Director of Science & Innovation, Oriflame; and Prof. Dominique Vichard, Professor - Researcher, University of Versailles. it unmissable for attendees from the European Union, Brazil, AsiaPacific, China and the USA. conference with a deeper understanding of cosmetic regulations in the main markets of the world, and insight into what’s ‘hot’ in the industry right now. Solutions Ltd in this topical debate. right, it does not matter what the trendy claim might be, they may well fail in the overall compliance. multiple vegetable oil options for cosmetic formulations. in-cosmetics Global 2019 will also be remembered for the launch of the inaugural Global Beauty Day on 3 April – set to be an annual celebration highlighting the need for inclusivity to embrace the world’s diversity. the rise of AI, AR, personalisation and many more hot topics. fundamentally important areas of the industry up for discussion, R&D professionals should ensure they have booked their places before it is too late. the challenge of sourcing suppliers that provide smaller quantities of ingredients with a guide listing potential supplier partnerships. please visit www.in-cosmetics.com/register. The Pre-Show availability – don’t miss out by booking your place now. 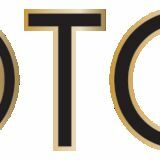 Vice President – Professional Products, Wahl Clipper Corporation. Professional and a regional educator with Wella. because things change so quickly,” said Finucane. ends of your hair away from constant manipulation. straight for up to 2 weeks or until your next wash day. ingredients like coconut water, jojoba, tea tree, peppermint, coconut and soybean oils, coconut milk and shea butter. scalp, sealing in moisture and protecting against styling damage that may cause breakage; helping to retain length while promoting healthy hair growth. locs and twists neat and smooth and can be used to slick edges or finish desired styles. •	Hold & Cover Black Edge Gel (2.25oz) - Slicks stubborn edges, temporarily covers gray hair and fills in thinning edges or part lines. of micellar water, black castor, coconut and peppermint oils to gently cleanse and condition hair, edges and scalp during braided styles and under weaves without causing frizz. Soothes scalp and calms itching; leaving hair refreshed and styles lasting longer. for braids, crochet styles, edges, under weave care and protective styles. braided, weaved and protective styles. Helps to prevent excessive breakage and shedding. and confidence is intertwined should be accessible to all women. treatment infused with coconut milk and shea butter that hair. stressed about your hair and more focused on stepping into your best self. will be featured in Cosmopolitan Magazine’s popular series ‘THE BRAID UP’ on YouTube in mid-February 2019. For more information about the brand, visit AfricanPrideHair.com. MyAfricanPrideHair), YouTube (@AfricanPride), and on Instagram and Twitter (@MyAfricanPride). To start your own conversation about the brand, use its official hashtag #FeelingMyPride and for Black Castor Miracle specifically, #ProtectWhatsYours. global brand-building and international business L’Oréal and Davines. To learn more about The Kirschner Group’s international representation programs, visit kirschnergroup.com. dozen workers, who will be reassigned to other positions. The Denton facility is one of three distribution centers Sally is closing this year. enough to be scaled at salons of all sizes. from consultation to aftercare with live AR hair-color try-on, facial capture to view the hair at every angle, among other services. It was featured at CES 2019 as part of the CareOS Artémis connected Smart Mirror, which was named a CES 2019 Innovation Awards Honoree. Wella Professionals hair stylists and salon owners, based on research to identify the biggest opportunities for innovation in the hair salon experience. Hair Now: Amer. Hair Loss Council Conf. Coupon must be presented to Jinny Beauty Supply by the last day of the promotional month to qualify for rebates. Signature I. Purchase the required amount of the vendor’s products. Coupon good for ONE TIME PURCHASE ONLY. 2. Fill out the coupon, supplying all necessary information. 3. Return the refund coupon* along with a copy of your original Jinny invoice** per Manufacturer’s request. 4.You’ll receive a credit from your Jinny Beauty Supply Accounting Department to be used on your next Jinny invoice. S. NO RETURNS will be accepted on coupon purchases. *Original only, NO COPIES will be accepted. **Copy of invoice MUST ACCOMPANY refund for credit. Signature I. Purchase the required amount of the vendor’s products. Coupon good for ONE TIME PURCHASE ONLY. 2. Fill out the coupon, supplying all necessary information. 3. Return the refund coupon* along with a copy of your original Jinny invoice** per Manufacturer’s request. 4.You’ll receive a credit from your Jinny Beauty Supply Accounting Department to be used on your next Jinny invoice. S. NO RETURNS will be accepted on coupon purchases. *Original only, NO COPIES will be accepted. **Copy of invoice MUST ACCOMPANY refund for credit. Reader Feedback Let your voice be heard! In this segment, OTC Beauty Magazine wants to find out what is important to you, our loyal readers. Posing a handful of questions each month, our goal is to learn through feedback how to better serve you. We ask that you take a few minutes to share your thoughts; write responses on this sheet and mail it back to us, or send it via email. What are the most popular men’s grooming products in your store? 여러분의 매장에서 가장 인기 있는 남성용 구루밍 제품은 무엇인가요? Are you seeing increased sales for beard maintenance products? 수염 관리 제품의 매출이 늘고 계신가요? Are gray coverage products still on demand at your store? 여러분의 매장에서 흰머리 염색 제품 수요가 여전히 있는 편인가요? When we receive your feedback we will choose a few answers to feature in the next month’s issue. You could be famous just by answering a few questions – simple as that! We look forward to hearing from you and thank you for supporting this publication. 보내주신 답변 중 몇몇을 뽑아 다음달에 기재하도록 하겠습니다. 몇 개의 질문에 답변을 함으로써, 여러분이 잡지에 실릴 수 있는 것입니다! 여러분의 성원에 감사 드리며, 많은 참여 부탁 드리겠습니다. edges, but no one wants to lose them. edge control that has the ability to hold down those hairs and moisturize them, as well. That’s why the Vitale Olive Oil Edge Rite is a great product to keep in stock. It sculpts and holds down edges while providing incredible silky shine. This non-flaking, nongreasy formula provides excellent hold to any style. Formulated with strengthening Olive Oil to deliver incredible moisture. An ultra-matte, super-rich lipstick with the smooth feel of a hydrating lip treatment. DREAM WORLD, INC. 3505 N. KIMBALL AVENUE, CHICAGO, IL 60618 | TEL. 847-600-3020 FAX. 847-600-3025 TOLL FREE 800-535-6110 EXCLUSIVELY AT JINNY & DREAM WORLD, INC.